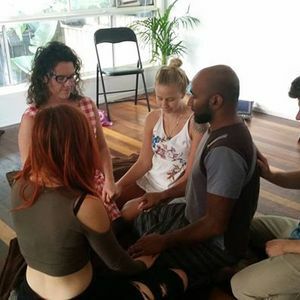 In this experiential workshop we address the significant impact ancestral patterns have on our LIFE-FORCE, SEXUALITY, LOVE AND RELATIONSHIPS. You can also present your own specific subject if you prefer, the process holds whatever you wish to clear up in your life, in order to be more authentically YOU! Epigenetic science now shows how trauma can be passed down the family line and give rise to challenges in the present day. Constellations reveals these links with an elegant experiential process and shifts them to a healthier dynamic, reclaiming your genuine self expression and enabling love and strength to flow throughout your life. Bank transfer preferred for payments. Please contact Isy. To receive information and to ensure this workshop is suitable for you. Reoccurring challenges may seem like our inescapable fate. But what if these are not yours but your ancestors? This can be affecting your physical or mental health, relationships at home or work and can be the trigger for traumatic events in your life and your children’s. There is no need to discuss any aspect of your sexuality or relationship. This process is deeper than words. With a background in Psychology* Isy has been deeply involved in Constellations for over 12 years, organising workshops and representing in well over 500 constellations. She's been facilitating personally for 3 years now. Isy particularly loves the group work but also gives private sessions, either in clinic using a sand try and objects, or via online live with overseas clients. Her specialisation is body symptoms (having been a body worker for 28 years) and sexuality issues, as she believes this is a part of our lives often ignored or unspoken and passionately feels this can bring greater joy, self awareness and connection to our lives. She lives in Australia, on the South East Coast. Trainings with ISTA (International School of Temple Arts) in sexuality, shamanism and spirituality. This workshop is an opportunity to experience and explore a constellation field with a group, and to take part in representing the delicate fabric of our lives. There are patterns, tendencies, irrational fears, block conditions, or difficulties that we carry but cannot understand where we "inherited" them from. It's like they were formed by themselves for no apparent reason. They create suffering but it seems like we cannot break free of them. Often the source for it can be found in our family history, in something that happened in our history or even in the history of our past generations. It's like a garden hose that has weak water pressure, and when you start walking back along it, you find that at some point it twisted around an obstacle, when you release it, the water can flow again freely. In the process, we will observe the place that needs recognition and healing, and we'll find a new way of being with it, that will echo back into life and will create the possibility of change. Each person representing in the process can experience healing as subjects are both personal and collective. 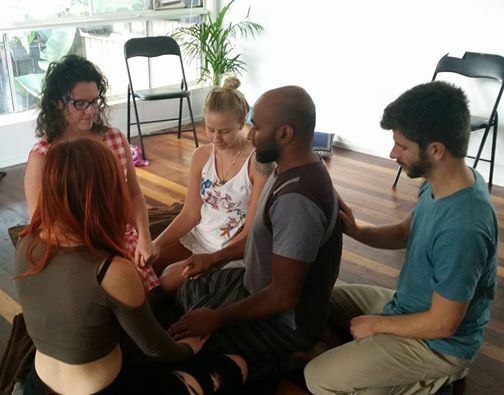 In a magical way, when a group gathers to support one's process the participant's roll play can connect to their personal issues and transformation can happen in more than one place. This is the biggest unexpected gift of the day, being an active witness to this work and representing in another persons constellation. It's an experience that cannot be described, only lived, and one that touches everyone present, and beyond. Not everyone present does a personal constellation. Representing in a specific family or role is often the shift you came for and can be profound beyond words. Family Constellations is a therapeutic practice inspired from shamanic ceremonies of the Zulu tribes in Africa, and evolved by Bert Hellinger, a German psychotherapist, into a highly regarded world-wide modality. Isy Gabriel has created this specific format to enable the work to be as effective without needing the story or individual identities to be represented. Isy calls this model "ENERGENETICS" as its in the energy of the genetic line. Sometimes it can be recommended to attend a full Family constellation workshop to follow up specifically if deemed necessary.